Junichi Tsuneoka was born and raised in Japan and, upon graduating Waseda University in Tokyo, arrived in the US at the end of the 20th Century. Being a graphic designer at Modern Dog Design Co. for six years really made a great impact on Junichi’s design career. Because of that experience, Junichi established a style often recognized as “California Roll Stylie,” the result of both a visual and conceptual fusion of Japanese pop culture and American urban culture. 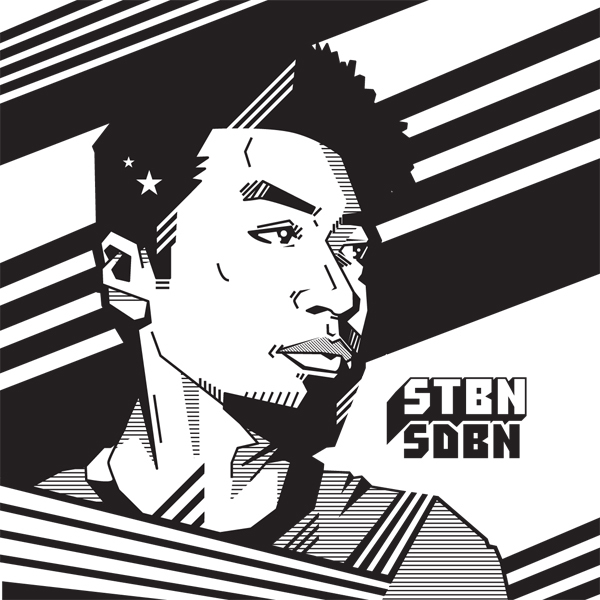 He founded STUDIO STUBBORN SIDEBURN to broaden his visual communication and to employ his visual language in art, illustration, and design. Junichi’s pieces possess highly communicative, assertive graphics, and contain clear signs pointing back to his strong design background. "time is money and silence is golden"